General's Compressed Pastel Crayons are extra-smooth, oil-free, blendable pastel crayons in a variety of pigment-rich colors. 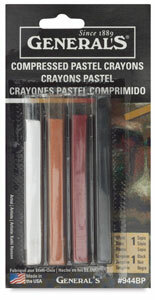 These handcrafted, artist-quality crayons are offered in a set of four traditional sketching colors, including White, Sanguine, Sienna, and Black. 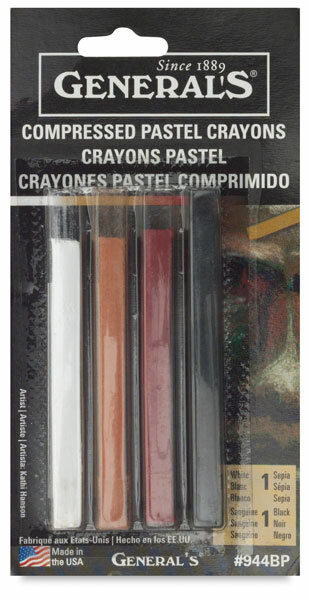 These handcrafted, artist-quality crayons are offered in a set of four traditional sketching colors, including White, Sanguine, Sienna, and Black.